The centrepiece of La Sieste is the beautiful open air pool with large sunbathing area. The pool has a shallow paddling section for children. The main swimming section has a depth of 1m60. 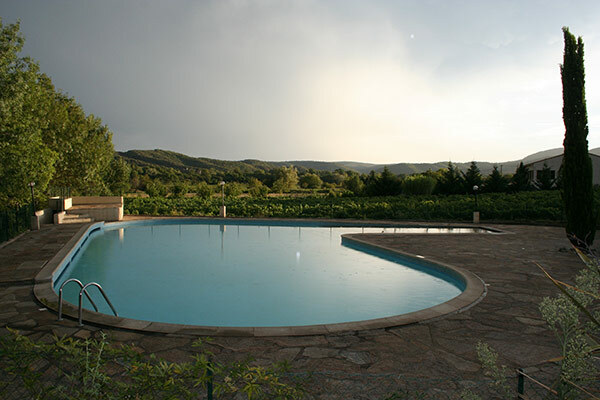 For safety reasons the pool is provided with security barriers and self-locking gate. All visitors (including children and babies) have to wear a bathing suit. Shorts, boxers, bermudas and nappies are not allowed due to hygienic reasons. You will find toilets and showers next to the pool. The pool is open from 9 AM till 1 PM, and from 3PM till 9 PM. The swimming pool is cleaned every day, early in the morning.